Google has been selling hardware for a while now, in the form of smartphones, tablets, Android Wear, Chromecast, Nexus Player, accessories, and so on. All of these were used to be in the Devices section of the Play Store. The company has now launched a brand new online store that’s separate from the Play Store, just for its hardware products. Depending upon your region, you will see different products here. So for example, in India, the website shows the Nexus 6 in the phones section (since Nexus 5 has been discontinued), the Nexus 9 in tablets, Chromecast in TV & Video section, and the G Watch and Gear Live in the Android Wear Section. 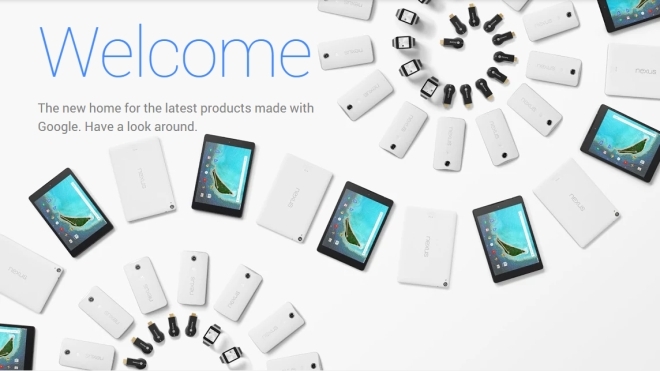 The new website features large images of the products, large fonts for the product description and specifications, and even quotes from reviewers (the Nexus 6 page, for example, has a quote from the GSMArena review). Clicking the buy button opens a near drawer on the right with the product choices and then the rest of the purchase process is similar to the Play Store experience. The left side menu also shows your order history, which is only for products on the store and does not include content from the Play Store. Android Device Manager is also present here to locate your device. You can check out the new store by clicking the link below.